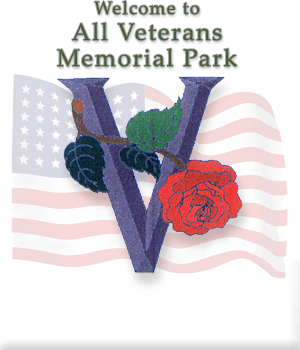 The new web site for the All Veterans Memorial Park of Stephenson County is alive and well at: http://avmpsc.org/. I appreciate the kind notes that have come in regarding my volunteer work on this site, but it is I who give thanks to the members of the Board of Directors who have honored our altruistic protectors, and of course, the protectors themselves. In building this site for the park, I read published articles that chronicle its development and tell of local people who contributed to well-made items that are in the park. After the site was built, many were the times that I looked at the photographs that cycle through the home page carousel and that appear on some of the web pages. There is a certain feeling that comes over me when I look at the work and the impeccable layout that went in to this project, and it is something unique. I think that it is something that comes from the care that went into it. In quiet moments when I viewed the monuments that are carefully placed in the park, I did not know if I should cry, be joyful, or just respectfully grateful for what we have. Most of all, viewing the park, even remotely, gave me a sense of stillness. It is a stillness after the storms weathered by armed service personnel, Civil Intelligence operatives, law enforcement officers, first responders, fire fighters, CDC technicians, bomb squads, Coast Guard surveillance, et al, sung and unsung. I do come from a somewhat military family in that my father served in the US Army, 101st Airborne, in the war against Germany in which he fought in the Battle of the Bulge, and, my brother who served two terms in the US Air Force while stationed in Thailand and Korea during the Viet Nam War where he earned the Air Force Award for Meritorious Duty. Although I was registered 1-A during the Viet Nam War, I was never drafted and I never joined. Instead, I am one of the people who enjoys everyday freedom because of others who have sacrificed all and have witnessed horrors that are worse than I hope most can imagine. 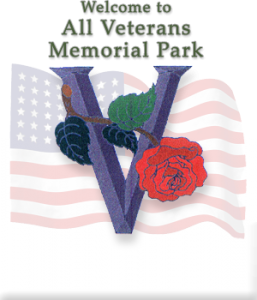 I don’t quite know how to say thank you, but do I know how to build web sites and I am grateful for the opportunity to build this site for the All Veterans Memorial Park of Stephenson County. There is something transcendent in the care that went into this park that gives us an omniscient connection with all those that it honors. Therein lies the stillness – in which remains the silent devotion of those who have gone before us and who endured the clamor and the din of Hell itself so that order may survive the chaos and remain for those to come. The All Veterans Memorial Park of Stephenson County is more than a commemorative testimonial that asks us to remember, it is a Chapel that shows us how. The How comes in the silence it instills, and in the silence comes the devotion and the love of those who made our lives as we know them possible. “Greater love hath no man than this, that a man lay down his life for his friends.” John 15:13. Let us remember the mistakes of the past that we not be doomed to repeat them, and let us remember those who made it possible for us to choose again. The late George Harrison said, “With every mistake we must surely be learning” and the Korean War Veterans Memorial in Washington, DC, reminds us that “Freedom Is Not Free.” But the All Veterans Memorial Park of Stephenson County is free for us all because of those who continue to give. One day I will travel the nearly one thousand miles that lie between us, if for no other reason than to experience a moment of silence in a place that has now proven it can touch even those who have not been there. But be there I will, when I join those who set foot in this lasting monument that reminds us of our gifted inheritance, and why we should cherish our hard earned freedom. 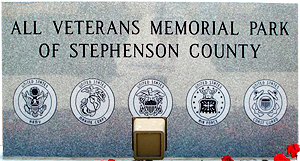 This is not always remembered, but I believe it would be hard to forget at the All Veterans Memorial Park of Stephenson County.